In 1985, Microsoft first introduced the Excel spreadsheet program, exclusively for Apple’s Macintosh operating system. Two years later, a Windows version was released. Since then, Excel has dominated the digital spreadsheet marketplace. In the last decade, however, many there strong, alternative options to Excel have emerged - many offer as much functionality, and some offer more. There are both free and paid options, downloadable and cloud-based apps, and ones that offer more digital display and data insights. So if you are exploring a spreadsheet option for your company, there are now a lot of strong choices available in the marketplace. In this article, we’ll define spreadsheets and explore the types of features and functionality organizations most look for when selecting an option. Plus, software experts share their insights and take a look at some of the popular free and paid Excel alternatives. Definitions: What Is Spreadsheet Software and How Is It Used? Excel Alternative Factor 3: Does It Do What You Want It to Do? Tracking and analyzing budgets, expenses, etc. Microsoft Excel has dominated the digital spreadsheet space for several decades. It even offers both paid (subscription and app) and free (mobile- and tablet-only) options. Now, however, paid alternatives like Numbers for Mac and free alternatives like Google Sheets, among others, present a wide variety of options to choose from. Cost: Excel (at least as part of a Business or Enterprise Office 365 subscription) isn’t cheap - it costs a few hundred dollars per worker per year. Barriers to working with other apps: Some users of other apps or products, like Google, find that Excel loses functionality or can become cumbersome in moving between apps. Resistance from Mac users: Excel for Mac doesn’t always render quickly or well on a Mac or iPad. Desire to do more with spreadsheet data: Some Excel competitors have begun to offer richer functionality with business insight and data analytics dashboards. Excel has some of this functionality, but some organizations may want more. Collaboration needs: Companies may want the ability to collaborate more easily in real time, directly in the spreadsheet (for example, a chat function). This boosts efficiency and curtails version-control issues. Allow 16-digit numbers: Most credit cards have 16 digits, but Excel rounds down numbers of more than 15 digits. While there are workarounds, this can cause issues, especially for ecommerce businesses. Allow leading zeroes: Excel still automatically reformats numbers that begin with a zero, which can cause problems with many kinds of data. Paid alternatives like Numbers for Mac and free alternatives like Google Sheets present a wide variety of options, and many offerings expand Excel’s functionality. In the following sections, we’ll explore criteria to consider when evaluating which Excel alternative is best for your company’s needs. Large organizations that have been using Excel and Office 365 for years know that Excel isn’t free. In fact, Office 365 Business plans can cost a few hundred dollars per user per year; Enterprise plans cost even more. While there are other pricing plans, these are typically annual subscription rates. Excel even offers a free version for mobile devices. In order to ensure maximum adoption and efficiency, the spreadsheet interface should be intuitive and the functions, toolbars, etc. should be easy to use. However, workers have been using Excel for so long that it has shaped expectations around the feel and functionality of any spreadsheet competitors; this is something to keep in mind as you explore Excel alternatives for your staff. This also means that simplicity is still a critical factor. Some Excel alternatives offer intricate and detailed data analysis features, but that doesn’t mean it’s hard to learn or use. Ultimately, choosing a simple, streamlined Excel alternative will help your company adopt it more quickly. Any Excel alternative should also work well with other products - including Excel. With Excel’s marketplace dominance, your company should choose an alternative that will easily and quickly import or export to Excel, PowerPoint, or PDF, as well as any other products you currently use. That way, your workers won’t be slowed down, and neither will your clients, stakeholders, or vendors. Plus, it’s likely that your company surely has a lot of existing Excel files you’ll want to access and use regularly. Today’s workers expect to stay connected to their tasks wherever they are and on any device. Because of this, your spreadsheet solution needs to be accessible and perform when the employee is at the office, at home, traveling, or at the local coffee shop. It also means the solution needs to be mobile-friendly and work well across desktop, laptop, tablet, and smartphone. If the employee works on a PC at the office, but a Mac at home, the Excel alternative needs to work seamlessly across operating systems. A robust spreadsheet solution should also enable collaboration, so that multiple people can work together on a spreadsheet in real time. Cloud-based options give team members the ability to jump into a spreadsheet to make additions, edits, and comments. Many issues often arise when a big Excel file is emailed around the office, introducing version-control issues and creating a cumbersome update process. All of this is eliminated when team members can access the same cloud-based file simultaneously. Your Excel alternative should also be compatible with multiple cloud services, including Microsoft Azure and OneDrive, Amazon Web Services, Dropbox, Google Drive, Box, and others. This gives your workers the support, backup, and flexibility they need as they work on their spreadsheets. When you try out Excel alternatives, consider what your team members will most likely do with it. All spreadsheets now allow organization of data, cells, and rows by different criteria. All allow easy arithmetic, especially sums/additions for topics like budgets, expenses, cost overruns, and the like. Functions, however, let users manipulate information, data, and figures in a variety of ways. Several options (Google Sheets, Numbers and Excel, etc.) offer more than 275 separate calculation functions alone. These include the ability to combine numbers in different cells, to “round up” figures, to find percentages of percentages, and so on. Depending on how detailed your calculation needs are, you may need to consider one of these more robust spreadsheet solutions. According to Luke Bastin, SEO Manager for the Dublin digital marketing company TinderPoint, believes any Excel alternative should be compatible with both Excel and Google Sheets. “As the business landscape changes, business leaders should always bear in mind the possibility of change in IT infrastructure and to this end, compatibility with other major spreadsheet solutions is critical,” Bastin says. 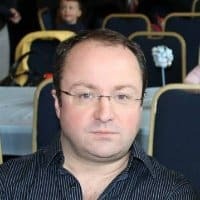 Another spreadsheet expert is Kornilios Ampatzis of the Greek tech company infolearn, which trains businesses in using both Excel and open-source spreadsheet software like LibreOffice and OpenOffice. Ampatzis is a big fan of Excel, but sees data connection, data statistics, and prediction as the areas where Excel competitors could potentially pull ahead. 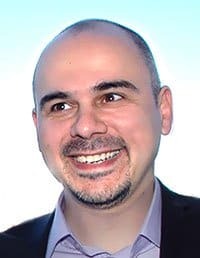 Kornilios Ampatzis of the Greece-based tech training company infolearn is a fan of Excel, but sees data connection, statistics, and predictive functions as areas where Excel alternatives may offer strong competition. Ampatzis says he believes that some Excel alternatives truly shine in statistics and prediction.That becomes business-critical as more businesses need spreadsheet options to help them analyze data patterns that will translate into predictive customer behaviors. Lynda.com offers detailed online training in many areas of spreadsheet expertise, including financial functions, pivot tables, and more, and offers tutorials that cover the basics to advanced tips and tricks. Thinking Spreadsheet: An Opinionated Guide to Problem Solving and Data Analysis Using Microsoft Excel (or Your Favorite Alternative) by Seattle author Joel Grus. Smartsheet is a work management and automation platform that enables enterprises and teams to work better. As a cloud-based tool, Smartsheet combines the familiar interface of a spreadsheet with robust, real-time collaboration features, making it powerful enough for project managers yet easy enough for anyone to use. Hold yourself and your team accountable, improve visibility into project priorities, and ensure nothing slips through the cracks. Use a pre-built template, to get started quickly, and customize it to include dynamic column types like contact lists, symbols, dates, or checkboxes. Choose how you want to manage your work with one of four views including Grid, Gantt, Calendar, and Card Views. Share your work with internal and external collaborators so that everyone has access and can collaborate in real time.